Sounds great, what could possibly go wrong? 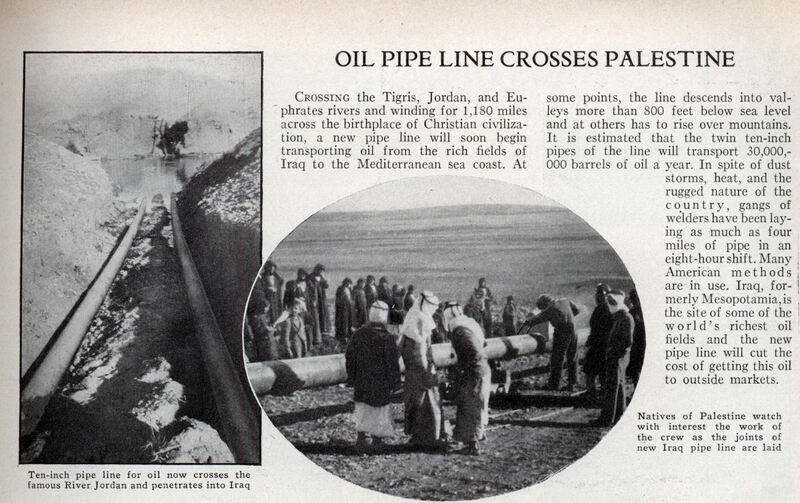 Crossing the Tigris, Jordan, and Euphrates rivers and winding for 1,180 miles across the birthplace of Christian civilization, a new pipe line will soon begin transporting oil from the rich fields of Iraq to the Mediterranean sea coast. At some points, the line descends into valleys more than 800 feet below sea level and at others has to rise over mountains. It is estimated that the twin ten-inch pipes of the line will transport 30,000,000 barrels of oil a year. In spite of dust storms, heat, and the rugged nature of the country, gangs of welders have been laying as much as four miles of pipe in an eight-hour shift. 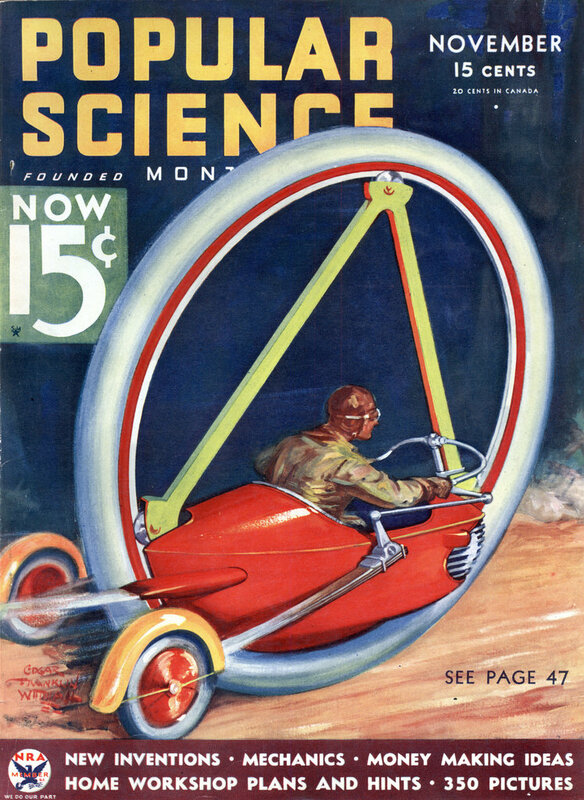 Many American methods are in use. Iraq, formerly Mesopotamia, is the site of some of the world’s richest oil fields and the new pipe line will cut the cost of getting this oil to outside markets.